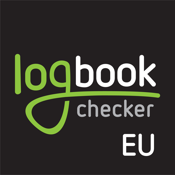 Logbook Checker is an application for European truck drivers which allow them to check their work times and aid them to comply with legal requirements. In Dashboard mode the app can use your GPS to switch between "driving" and "other work". Continued use of GPS running in the background can dramatically decrease battery life. It will also tell you when you can drive next and how long you can drive for before your next break is due and provide other valuable information to help you plan your driving trip.